Home / Bacon / Essays. / Honours 3rd Year / Prose / "Of Great Place" :Critical Appreciation of the essay. "Of Great Place" :Critical Appreciation of the essay. .”Of Great Place” appears in Francis Bacon's most important literary writing called “Essays”, the last revised edition of which appeared in 1625. In this essay, the whole attention is concentrated on instructing the reader in how to get on in politics, how to handle other men so as to advance one's own claim to the great place. 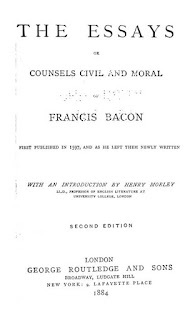 Critics argues that this essay is marked by Bacon's abrupt, epigramatic style, his practical wisdom and permeated with his knowledge in history, biogrphy, philosophy and classical literature. His expressions are so pithy and impersonal that many of the sayings in them have become proverbial. Bacon opens his essays 'Of Great Place’ as usual with a plain statement that persons in great place are thrice servants. They are servants of king or state, if fame and business. Then he points out the several disadvantages of high place. A man in high place has no liberty or time to think about himself. He may have power over himself. Rising to a high place is difficult but the fall is sudden, quick and disgraceful. A man is reluctant to give up his high office even when he becomes old an sick. The only advantage that he has is the immense power that he may exercise to do good to others. 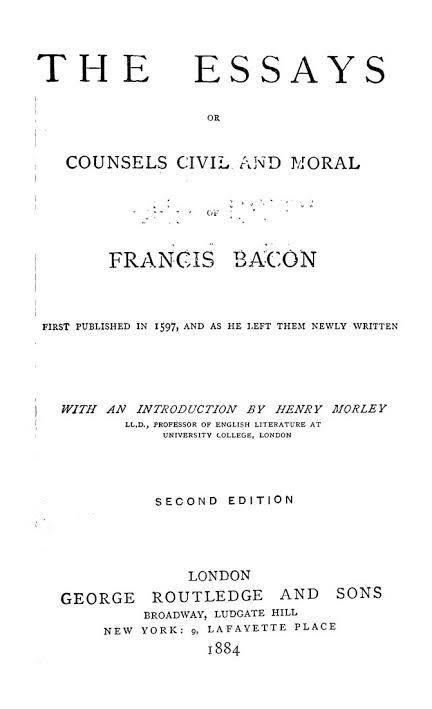 Bacon's shrewd observations include a number of maxims to guide men in high authority. Bacon advises the man to follow good instances of the predecessors and avoid bad examples. A man in high place should be guided by reason and maintain the rights and dignity of his office including his subordinates. He should welcome formative advice from others and be open about any reform or policy change. Bacon offers practical directions to avoid four vices which a person in authority often faces. Delays an roughness are two vices that discourage and deter people from taking survive. Facility is worse than bribery and corruption for favourism makes a man suspect l. Bacon clearly mentions that the rising to a great place is by a 'winding stair’. Thus the whole essay “Of Great Place” blends Machiavellianism with his practical advice dedicated to offer generalization and extracts from practical knowledge woven together with the experience from previous authors . That style in this essay is clear, terse and easy: extremely suitable for expressing subtle and variety of thoughts. His treatment of his subject is devoid feeling and emotion. He wrote in epigramatic brevity: “All rising to a great place is by a winding stair”. His analogies, metaphors and similies lend warmth and color to his style illustrating his ideas effectively. Back on compares the high position with the slipery place: “The standing is slippery’, metaphorically suggesting that impending downfall. The image of ‘winding stair’ refers to crooked methods or roundabout ways of a attaining great places. 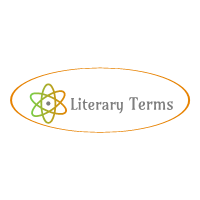 Similarly the essay is full of reference allusion and quotation from different author. These provide Authority dignity and weight to the ideas. there is allusion to sayings of the ancient Greece and reference to Bible's book of Genesis and proverbs to emphasize his thoughts. In the light of above discussion we can say that “Of Great Place” combines moral maxims with Michiavellian practicality. Bacon conveys his ideas in clear simple style using images, allusions and references which provide a poetic charm to his essay.